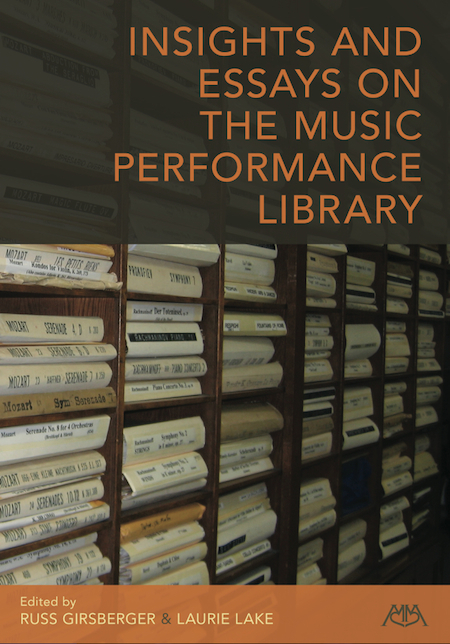 The music performance library is the heart of a musical ensemble, supplying music to performers and information to an entire organization. This essential resource provides step-by-step directions on how to purchase and rent music, catalog new works, distribute and collect parts, store and preserve music, mark bowings, correct errata, locate and choose editions, prepare programs, communicate efficiently, and prepare manuscripts. There is valuable information here for all musicians – music directors, conductors, student librarians, community volunteers, and professional performance librarians – written by librarians from the following organizations: Alabama Symphony • Boosey & Hawkes • Boston Symphony Orchestra • Cleveland Orchestra • Dallas Symphony Orchestra • European American Music • Finnish Music Information Centre • Florida Orchestra • Fort Worth Symphony Orchestra • Glimmerglass Opera • Indianapolis Symphony Orchestra • Interlochen Center for the Arts • Jazz at Lincoln Center • Juilliard School • Kansas City Symphony • Los Angeles Philharmonic • McGill University • Metropolitan Opera • Milwaukee Symphony • Minnesota Orchestra • National Symphony Orchestra • New England Conservatory • New York Philharmonic • Philadelphia Orchestra • San Diego Symphony • San Francisco Ballet • San Francisco Symphony • Seattle Symphony Orchestra • United States Army Field Band • United States Marine Band • United States Military Academy Band.